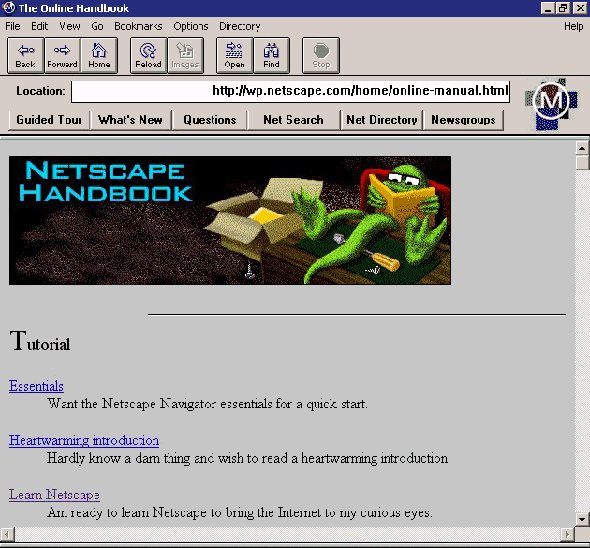 Netscape Navigator, browser created by Mosaic Communications Corporation, turns 20. Netscape Navigator, the first real commercial Web browser, launched on Oct. 13, 1994. And though I’ve written before about the danger of overselling techniversaries, this one stands out to me. The invention of the browser changed the way people used the Internet forever, and though browsers have improved over the years, the original Netscape Navigator is still fundamentally recognizable. It was a good idea! Created by Jim Clark and Marc Andreessen at Mosaic Communications Corp. (which they founded in April 1994), Netscape not only introduced people to the future of the Web, but prompted Microsoft to create competitor and browser bigwig Internet Explorer. For better and worse. Development on Netscape ended in 2008, but its spirit—and some source code—lives on in Firefox. In honor of Netscape’s birthday, here’s what people were saying about it in 1994. Netscape Communications of Mountain View, Calif …. has been developing enhanced versions of a hugely successful program called Mosaic that lets people jump between computers around the world merely by clicking on on-screen icons. Friday, 7 October 1994, 6am. We go live on the net in four days. I no longer think we’re doomed. I think we’re going to rock all over. It’s still pretty scary, though.